Iran's top nuclear negotiator said Wednesday a report by the head of the U.N. atomic watchdog signaled that the deep dispute over Tehran's nuclear program could soon be closed. "The report makes it clear that Iran's nuclear activities are peaceful and there has been no diversion from the peaceful path," Hasan Rowhani told a news conference. "However, the report has some problems … (it) has touched upon cases that it should not." The report, issued Tuesday by Mohamed ElBaradei, head of the International Atomic Energy Agency, said Iran has acknowledged importing parts for advanced centrifuges that can be used to enrich uranium. It credits Iran with more openness about its nuclear program but says the agency still has questions about nearly two decades of secret activities. The report also says Iran has continued production of centrifuge components at three workshops belonging to private companies despite its declaration it would suspend such activities. Iran said the companies continued production because they had not received adequate compensation for the termination of contracts, according to the report. The report was issued for the June 14 meeting of the IAEA's 35-nation board of governors, which has wrestled for more than a year over what to do about what the United States and its allies say is a weapons program. The IAEA report alleges Iran had tried to buy critical parts for advanced P-2 centrifuges that can be used for energy purposes or to enrich uranium to weapons grade. Rowhani acknowledged Iran has purchased parts that can be used for P-2 centrifuges, but played down the significance. "We told the IAEA that we didn't import P-2 centrifuge parts, except a magnet that can be used for production of both the less advanced P-1 or advanced P-2 centrifuges," Rowhani said. Iran has confirmed it has produced P-1 centrifuges, which are used for low-grade enrichment. Natural uranium is enriched to produce molecules with the right number of electron particles for fission. Centrifuges are used to spin uranium gas rapidly to separate molecules of different weights. More enrichment is required for weapons material than for nuclear plant fuel. Rowhani said Iran has been doing research for years on the advanced P-2 centrifuges, and has produced sample parts. "On P-2 centrifuges, we are at the stage of completing our research. We have produced sample parts of P-2 and we have provided information and photos about it to the IAEA. Once research is completed, we will make our decision about production of P-2s," he said. Rowhani also acknowledged parts for the P-1 centrifuge were still being made in Iran. Iran suspended uranium enrichment last year under strong international pressure but continued with its centrifuge program. It eventually said in April that it had stopped building centrifuges. "Government companies have already suspended building (P-1) centrifuge parts but three private companies continue building centrifuges because we haven't settled the issue of compensation with them for stopping work," he said. In an interview with The Associated Press before the report was issued, Undersecretary of State John R. Bolton accused Tehran of engaging in "denial and deception." "We are convinced that they are pursuing a clandestine program to acquire nuclear weapons," he said. Bolton said Washington was determined to have Iran answer to the U.N. Security Council. Iran long has rejected U.S. allegations its nuclear program is for military purposes. ElBaradei said Tuesday his agency had not found proof to date of a concrete link between Iran's nuclear activities and its military program, but "it was premature to make a judgment." ElBaradei's report did not appear critical enough of Iran to marshal strong support at the IAEA board meeting for U.N. Security Council action against Iran — which the United States wants. The agency had verified the suspension of uranium enrichment and reprocessing activities at several sites, including Kalaye, Natanz, Lashkar Ab'ad, the report said, but added that the verification was delayed because Iran wouldn't give immediate access to military sites and "not yet comprehensive" because of the private companies' continued production. 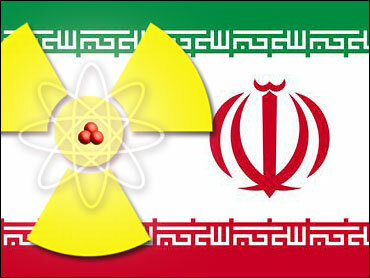 Iran argues that its suspension declaration does not include the production of uranium hexafluoride, a refined uranium that if enriched in a centrifuge could be used to make a nuclear weapon, and has said it plans to test a plant that would produce the uranium hexafluoride. These tests are "at variance with the agency's previous understanding us to the scope of Iran's decision regarding suspension," the report said.